Finding a property that combines a prestigious location, a short commute, and a quality lifestyle with access to world-class leisure facilities can be a challenge. Not when you choose an apartment at WoodlandGrove@Milltimber. 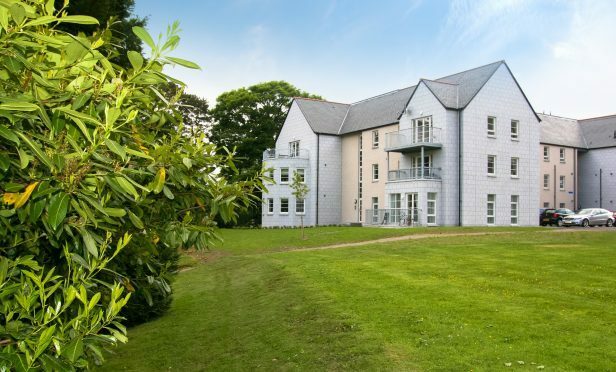 The development of two bedroom apartments for buyers aged 55 and over, has transformed a five-hectare site in the affluent Aberdeen suburb. For commuters, it’s an easy distance from Aberdeen’s city centre and the world-class Prime Four Business Park. It’s also close to popular North East towns including Westhill, as well as Banchory and Stonehaven. WoodlandGrove@Milltimber is also an ideal choice for people whose children have flown the nest, and who find themselves with more leisure time than they’ve enjoyed for years. For those keen on shopping, dining out, or film and theatre entertainment, the development is perfectly located for easy access to all Aberdeen’s amenities. Nearby too are a number of outdoor, sporting and leisure facilities including Kippie Lodge sports and country club and the David Lloyd Club, as well as relaxing spas at the Marcliffe and Mercure Aberdeen Ardoe House hotels. WoodlandGrove@Milltimber is also within walking distance of the popular Royal Deeside Line running from Duthie Park in Aberdeen to Banchory, then on to Ballater. Ideally suited for social occasions such as entertaining family and friends, each generously-proportioned apartment has its own individual design: thoughtfully created offering outstanding comfort and style including superior finishes, light and spacious lounges, and designer kitchens with high-quality appliances. The apartments, each with a private balcony or terrace, have lift access to all levels and there is allocated residents parking, and ample visitor spaces. All homes have a door entry security video system, and the complex has two owners’ lounges, acting as a community hub, and playing host to a wide range of activities such as live entertainment, guest speakers, exercise and arts and crafts classes, as well as card nights. The show apartment is open from 11am to 5pm on Thursday to Saturday and Monday, and from noon to 4pm on Sunday. Price start from £295,000. For further information on WoodlandGrove@Milltimber contact Christine Macdonald on 01224 863591 or visit woodlandgrove.co.uk.